Nearly two-thirds of Alaskans want to see Roe v. Wade upheld, according to a poll conducted in the wake of Supreme Court Justice Anthony Kennedy’s retirement but before President Donald Trump’s nomination of Brett Kavanaugh to the high court. 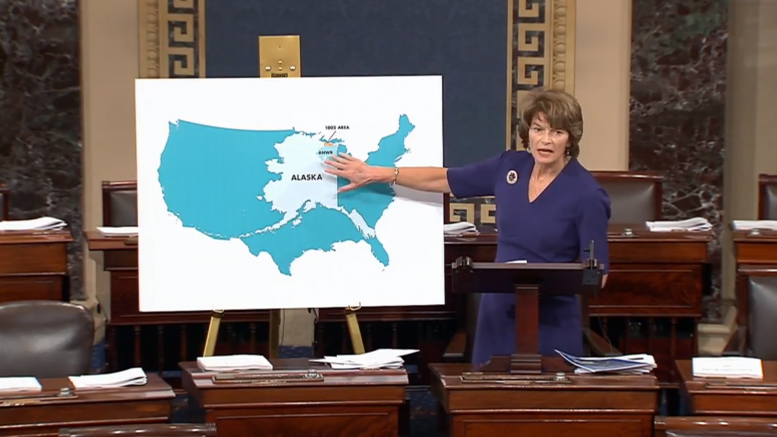 The poll shows more Alaskans support upholding the ruling–63 percent–than have a very favorable or somewhat favorable opinion of U.S. Sen. Lisa Murkowski–58 percent–who’s in the position of being a potential deciding vote on Trump’s pick. The survey was conducted by Clarity Campaign Labs and commissioned by Planned Parenthood Action Fund, Planned Parenthood’s political advocacy arm, and surveyed 597 people on a mix of cell phones and landlines between July 3 and July 9 (the day of Kavanaugh’s announcement) with a self-reported margin of error of +/- 3.29 percent and a 95 percent confidence interval. The crosstabs were not made available. Clarity Campaign Labs received a B- from FiveThirtyEight’s May 2018 pollster rankings with a slight bias in favor of Democrats. With Trump previously pledging to appoint justices that would overturn the landmark abortion rights case, progressives mounted opposition to the appointment before the nominee was even announced. Groups have zeroed in on issues like Roe v. Wade because Murkowski is one of the few Republicans who openly supports abortion rights. The Clarity Campaign Labs poll also surveyed Alaskans on the Affordable Care Act, which Murkowski voted to largely preserve last year (though she ultimately voted to repeal the individual mandate as part of GOP tax cuts). U.S. Sen. Dan Sullivan has already announced he plans to vote in favor of Kavanaugh’ appointment after meeting with the nominee. 54 percent of those surveyed wanted to see the Affordable Care Act defended on the Supreme Court while 35 percent said they wanted it to be overturned. Be the first to comment on "More Alaskans support upholding Roe v. Wade than support Murkowski, poll finds"